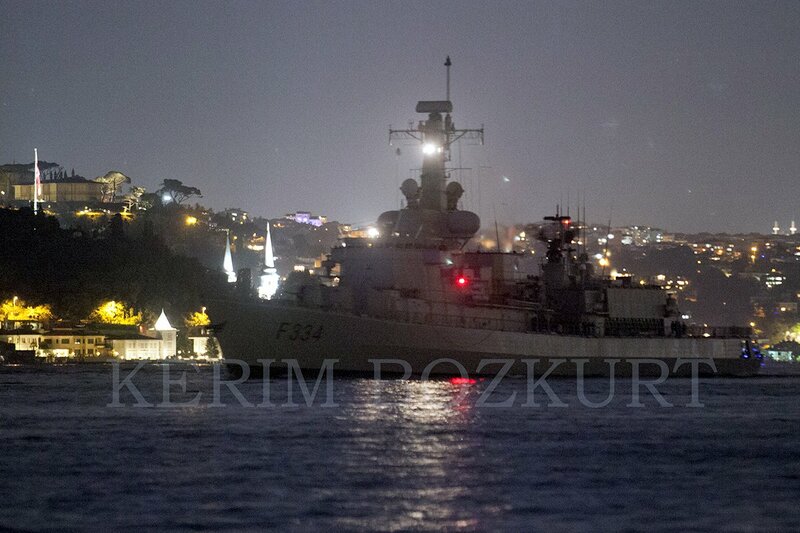 F-334 NRP D. Francisco de Almeida, the flag ship of SNMG-1, passing through Istanbul. 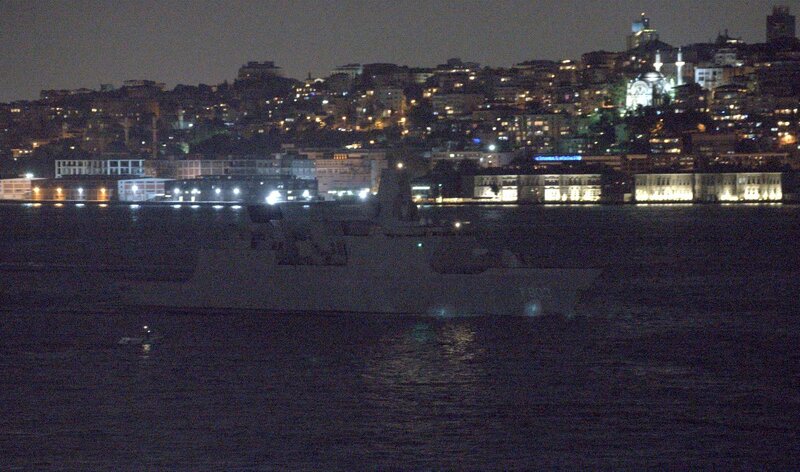 F-334 NRP D. Francisco de Almeida sneaking though Istanbul. F-803 HNLMS Tromp making her northbound passage. 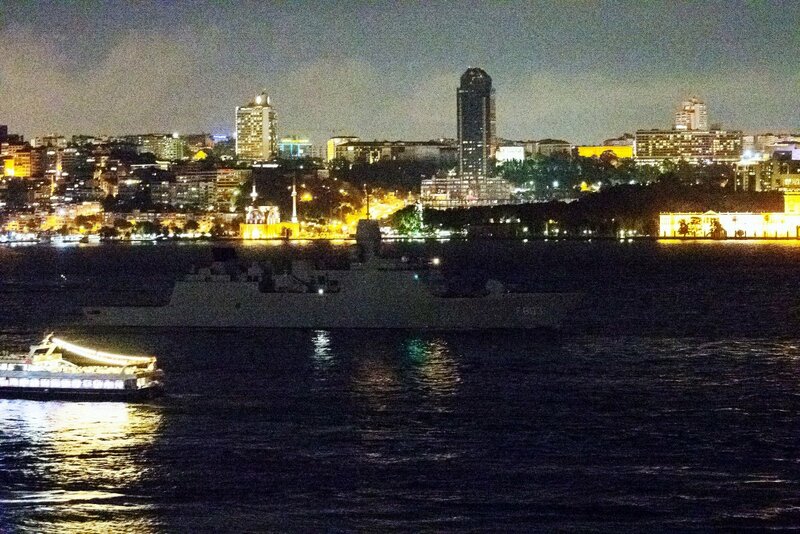 F-803 HNLMS Tromp, illuminated by a leisure boat, as she is passing though Istanbul. 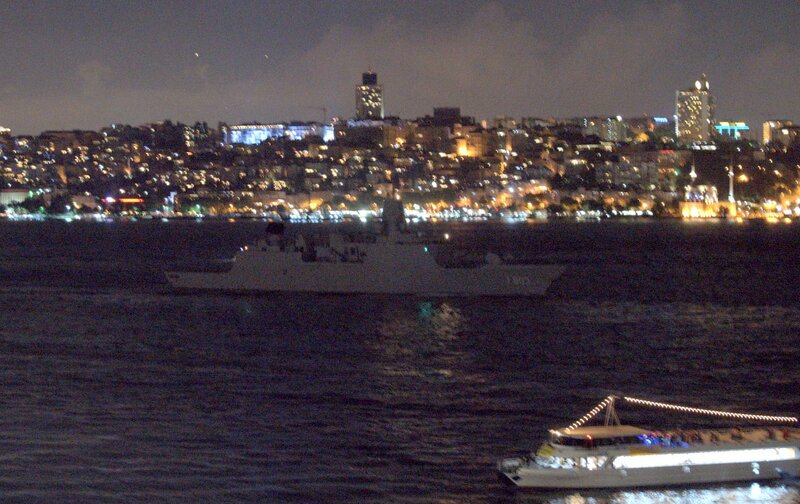 F-803 HNLMS Tromp, passing though Istanbul. 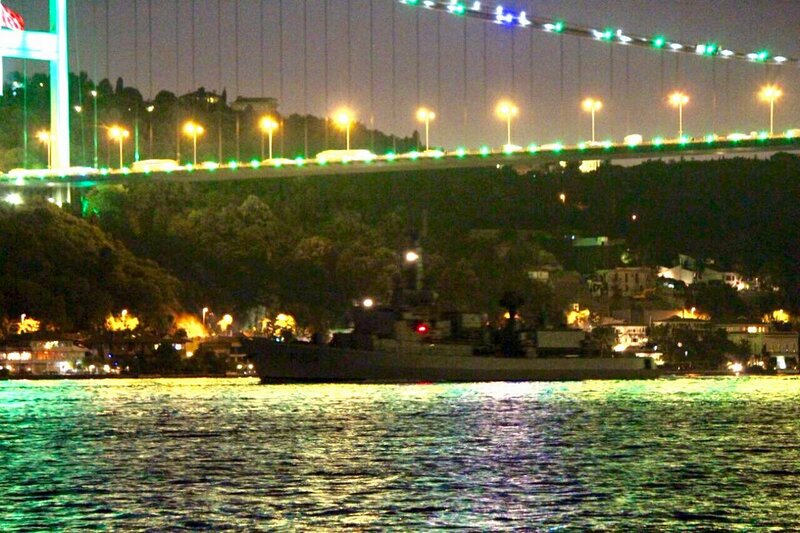 F-334 NRP D. Francisco de Almeida illuminated by the lights of the bridge. Photo: Saadettin Irmakçı. Used with permission. F-334 NRP D. Francisco de Almeida. Photo: Saadettin Irmakçı. Used with permission. F-803 Tromp, illuminated by the lights of the bridge. Photo: Saadettin Irmakçı. Used with permission. F-334 NRP D. Francisco de Almeida. Photo: Kerim Bozkurt. Used with permission. 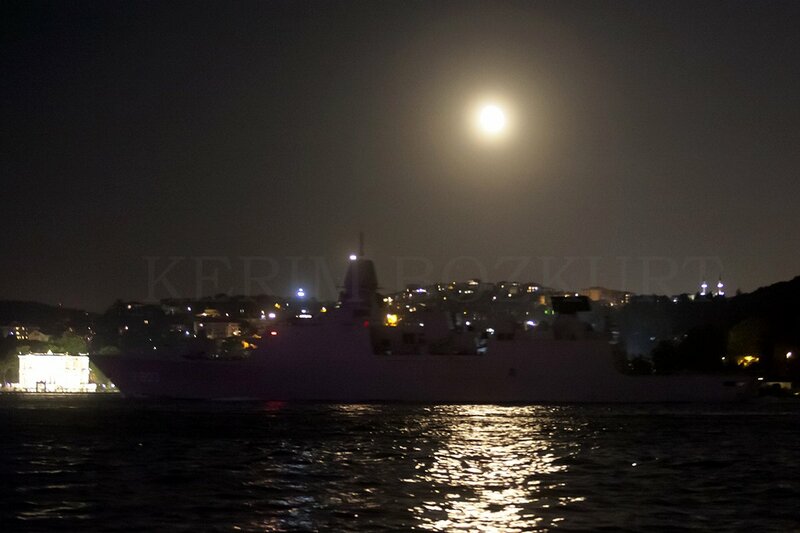 F-803 HNLMS Tromp and the moon. Photo: Kerim Bozkurt. Used with permission. NATO Mine Countermeasures Group Two is not the only NATO naval task force deployed to Bulgaria this weekend. 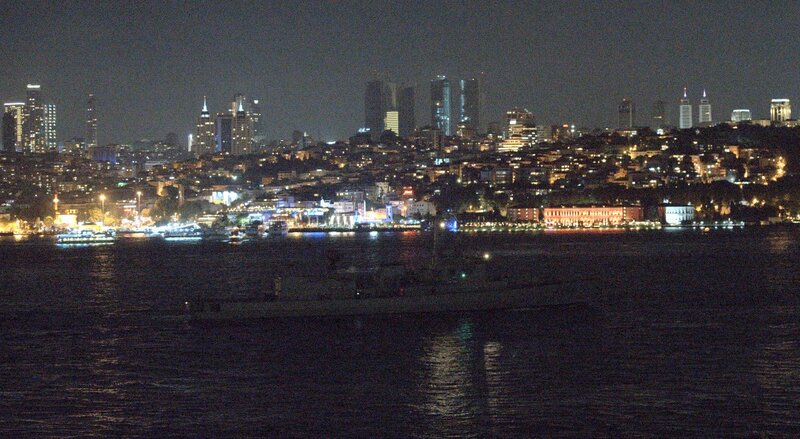 On 4 July 2015 late in the night at 22.30 local time the SNMG-1 ships F-334 NRP D. Francisco de Almeida and F-803 HNLMS Tromp passed through Istanbul Strait. According to the publicly available information both ships have arrive at Varna port on 5 July 2015. They are going to take part in Breeze 2015 naval exercise. 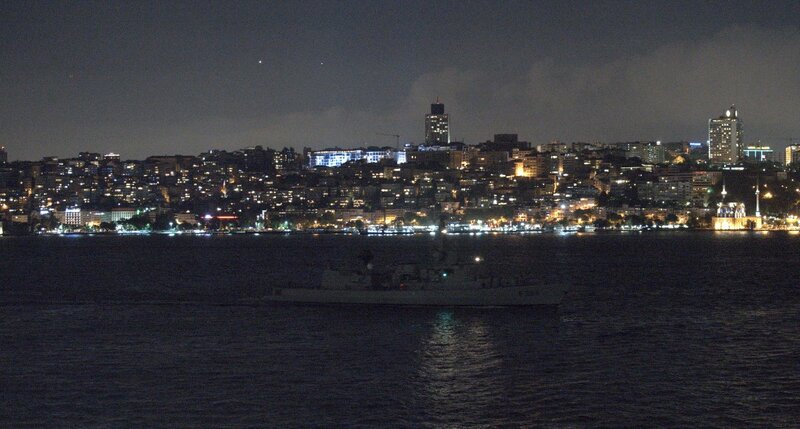 Foreign warships do usually pass through the Turkish Straits in day light. The Montreux Convention orders only the submarines of Black Sea nations to pass through the Turkish Straits at day time. 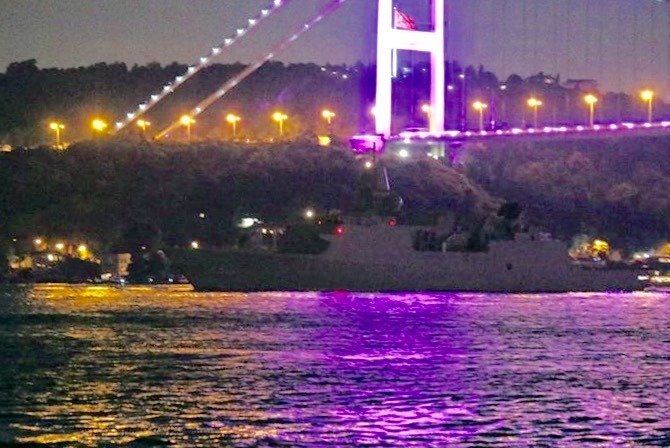 The transit passages of foreign warships through Turkish Straits must start in day time. The Convention does not openly regulates the ending of the transit passage of foreign warships. Never the less I must say that the timing of these warships was particular peculiar. Both NRP D. Francisco de Almeida and F-803 HNLMS Tromp are actuality very beautiful Dutch ships (though the former is now under Portuguese flag) which do not need to hide themselves in the darkness of the night. The word photography means writing with light. And as we all know the single largest and the most important source of light on earth is our sun. Thus photography is more fun when the sun is up. And the results are far more better. 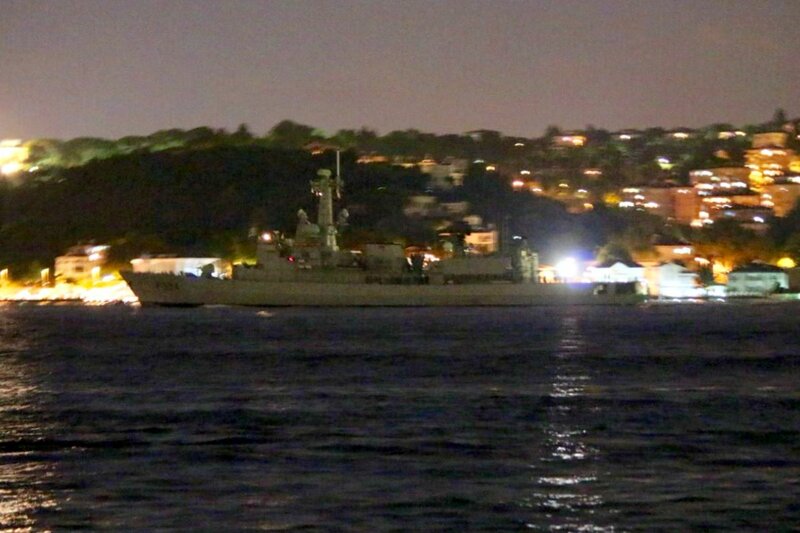 But as you can see from the results day or night the ship spotters in Istanbul are ready to document the foreign warships passing through our beautiful city. I’m guessing this may have been done for navigation training, or perhaps an EMCON exercise, or simply a coincidence. Good catch by the spotters and great photos!